The introduction of the oral drug Avandia or Rosiglitazone was welcomed by doctors as it served as a great alternative to patients who, for medical reasons, could not take Actos or any other drugs for Type II diabetes. Rosiglitazone was either manufactured alone or was combined with other drugs to form a new medication; such is the case with Avandamet (Rosiglitazone combined with metformin) and Avandaryl (combination of Rosiglitazone and glimepiride). Avandia can be prescribed alone or with another diabetes medicine and is usually taken with proper diet and exercise. It is, however, not intended for type 1 diabetics due to their system’s inability to produce enough insulin or total failure to produce insulin. Avandia was manufactured by the UK pharmaceutical company SmithKlineBeecham Corporation and approved for distribution by the US Food and Drug Administration in May 1999. SmithKlineBeecham Corporation is now registered under the name GlaxoSmithKline after its merger with another UK firm, Glaxo Wellcome, in January 2000. The merger resulted to the formation of world’s largest drug company. After becoming Glaxo’s second most-bought product and after being prescribed to more than six million patients worldwide, Avandia’s sale dropped following a public warning by the FDA which said that the drug increased the possibility of congestive heart failure and fatal heart attack in patients. It was even issued a block box warning, FDA’s most serious warning on a drug due to its life-threatening effects. Different studies made on the drug, however, showed conflicting results; this means that while many did suffer from heart ailments, some others did not. Thus, despite the black box warning, the FDA decided not to recall the drug; it required further studies about Avandia, however. The many cases of heart ailments and deaths where Avandia is named to be the cause, plus Glaxo’s failure to include on the drug’s label its risks to health are enough to render the firm negligent of its responsibilities towards millions of patients. This means patients can run after Glaxo for compensation. But, patients ought to know that there is a statutory deadline for filing claims; missing this deadline will outrighlty disqualify them from making any claims. The National Injury Law Center has been, and continues to be, a dedicated defender of patients’ rights. It has a website where patients’ questions about drugs’ adverse effects and medical errors are clearly answered and patients’ legal options are provided. Know if you are qualified to file a lawsuit claim, but make sure you file it on time, otherwise, you lose this right totally. The world’s top Bitcoin exchange, Mt. Gox, is facing a breach of contract lawsuit after allegedly failing to meet the contractual obligations of the partnership it signed with CoinLab. The partnership was designed to simplify Japan-based Mt. Gox’s business with Bitcoin traders in the United States and Canada in light of proposed regulations. Bitcoins are a virtual currency generated by a complex hashing algorithm. A Bitcoin is generated when a computer solves the algorithm. The complexity of the hashing algorithm increases with every Bitcoin that is generated, meaning the next one will take longer to be discovered. The process of generating Bitcoins is called “mining” and people build powerful computers for the sole purpose of mining the anonymous currency. Over the past few months, the price of Bitcoins has fluctuated dramatically, reaching a high of $266 per Bitcoin in April, and then dropping to their current (as of writing) value of $90 apiece. Presently more than $23 million worth of Bitcoins have been mined around the world. Mt. 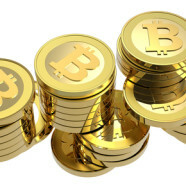 Gox is a business that exchanges Bitcoins for physical currency. Since Bitcoins are not yet a widely accepted form of payment, the service enables Bitcoin owners to increase the liquidity of their investment in the virtual cash. Mt. Gox entered a deal with CoinLab in February, allowing the smaller company to handle all of its U.S. and Canada transactions. However, CoinLab claims that Mt. Gox failed to share crucial information and server access it needed to carry on its duties as a Bitcoin exchange, resulting in a breach of contract. In all, CoinLab claims Mt. Gox breached its contract in at least eight different ways. The lawsuit seeks $75 million in damages and is sure to keep business lawyers on both sides of it busy for months to come. Hopefully they can settle their dispute soon, and in a way that does not harm the people who have put their faith in both of these companies.